Kenco's Kompac 3K and 5K low tonnage mechanical presses have been manufactured since 1950 for various applications including stamping, forming and crimping of small parts. 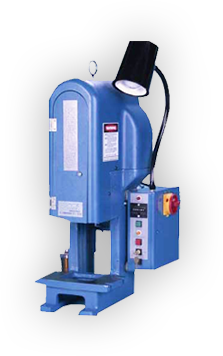 Kenco offers bench and floor model presses, which can be integrated into any production layout and actuated by feed equipment or an external PLC. 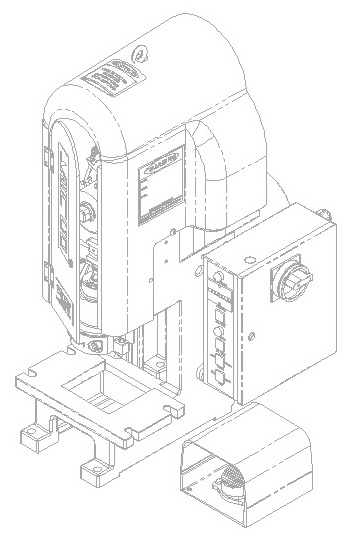 Used in a variety of industries, Kenco Presses have been utilized to stamp or form small parts from different materials including metals, felt, fiber and other materials. Kenco presses are also ideal to accomodate the tooling for crimping metal terminals on electrical wire. Kenco offers a durable, affordable press you can depend on. Contact Taber Industries today to determine which Kenco Press is right for you!